How our banks got into such a mess. One of Scragged's major refrains has been to consistently point out the manifold and multifarious ways in which government regulations and the agencies spawned to enforce them tend to be useless and sometimes downright evil. Fortunately for us but unfortunately for the country, this topic provides a never-ending fount of articles. As diverse as our examples are, though, the underlying causes are both consistent and straightforward. Perhaps the most powerful reason is that government agencies are given perverse incentives - the worse job they do and thus the bigger the problems they create, the larger the budget they get for the supposed purpose of fixing the problem they created or exacerbated in the first place. It's no surprise that if you look today at a government agency created decades ago to fix a given problem, you never find the mission accomplished; almost always the problem gotten far bigger, and the agency likewise. In spite of utterly failing to catch Bernie Madoff and a number of other similar Ponzi schemers despite having the evidence repeatedly handed to them on a silver platter by whistleblowers, the SEC was rewarded with a big budget increase. In spite of being unable to prevent an explosion in a coal mine despite dozens of safety citations by their own inspectors, the agency in charge of mining regulation is getting a big increase. When the BP oil well sprung a leak, the agency which was responsible for overseeing oil drilling was disbanded, but nobody got fired. They were shuffled off to other government jobs and the total budget for overseeing oil drilling went up. To go back into history a bit, anyone remember Sorbanes-Oxley? This was a major tightening of accounting regulations after the Enron collapse. Under the Sarbanes-Oxley regulations, the CEOs of big public companies are legally required to personally sign off on their annual financial statements. Among the things they have to sign up to is that their company has followed all applicable laws. Being somewhat jail-averse, CEOs responded by doing a lot more checking of what was going on in their domains. This led to a great deal more money being spent on accountants, auditors, and other overhead. This increased operating costs a great deal but did nothing to prevent the Obama depression. Despite the widespread regulatory failures that led up to our current economic problems, all the regulatory agencies have been punished with massive budget increases. It's pretty evident that government agencies seldom do any good. What's not as widely recognized is the vast amount of harm that ill-considered government meddling can do. The media have actually occasionally reported isolated details on how government regulations caused the home mortgage bubble and subsequent collapse, but it's worth a review. Many years ago, when a couple applied for a home mortgage, only the husband's income was considered when deciding how much money the couple could borrow. This was a conservative approach to lending because any money the wife earned provided extra cash flow to pay off the mortgage. The wife's potential earning power provided a safety reserve which made the loan less risky. Prodded by 60s-era feminists, the government decided that not counting the wife's income was unfair to women workers and changed the banking regulations so that banks had to fully consider the wife's income when deciding on the amount of the loan. More money was instantly made available at the stroke of a pen for home purchases. Now that the previously-ignored wifely earnings were counted, many American households were making more money if only on paper. Thus the loans they were allowed got bigger across the board, which naturally pushed up home prices. The result? With home prices bid up so high, many couples found that the wife had to work whether she wanted to or not, merely in order to afford the larger mortgages needed to buy a house at the inflated prices. Mortgages became more risky. If the loan amount was based on the husband's income alone and he lost his job, the wife could work to pull in some money and keep things afloat while he found new work. With the loan depending on both the husband and the wife working, if either of them became unemployed, there was no reserve. This increased risk make home loans more likely to default. Thus, the government-inspired rule change in the amount of money that a couple could borrow to buy a house made the loans more risky and pushed up house prices. This started the housing bubble which popped so disastrously decades later. Not being content with one means of inflating home prices, the government decided to add another. Congress set up an agency to make home mortgage loans available to people whose credit ratings wouldn't qualify them for home loans under normal banking standards - that is, people who were not credit-worthy in the first place. Starting as far back as the Carter administration, Rep. Barney Frank and Sen. Chris Dodd led the effort to make it easier for unqualified people to get home mortgages. Sen. Dodd relaxed federal regulations and made it easier for banks like Countrywide to write and sell riskier mortgages. Instead of having to keep the loans they wrote and accept the risk that they might not be paid off, banks were allowed to sell the loans to government agencies. Selling the loan and shuffling the risk off to the taxpayers gave them more money to lend again. 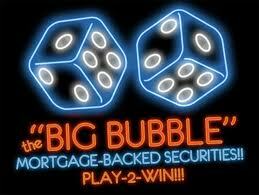 This scheme of making more mortgage money available to less worthy borrowers made the housing bubble grow even faster. What happened after the banks had loaned money to all the people whose income truly qualified them to pay the loans back and there was nobody left who was worthy of a loan? The banks wanted to keep management bonuses rolling, so they started making NINJA (No Income, Job, or Assets) loans to people who couldn't pay the loans back under any circumstances. When the bubble burst, those mortgages became "Troubled Assets" as in "Troubled Asset Recovery Program," or TARP, which has cost taxpayers so many billions. When Rep. Frank said he didn't want to focus on safety or soundness when the government made mortgage loans, he meant it. When he referred to "subsidized housing," he was talking about Fannie Mae and Freddie Mac, the two government agencies which offer low-cost home loans at taxpayer risk; by "rolling the dice," he meant that the government should relax lending standards even more. Investors believed that the government would never let those two agencies default so they offered them money at lower rates than they'd offer to commercial banks which were riskier. Given that these housing agencies paid less for money than their competitors, it's no surprise that the government has taken over the overwhelming majority of the home mortgage market. Since the bubble burst, these two government-created entities have absorbed more than $111 billion in taxpayer bailouts, and they're still making risky loans. Exactly where did our current financial crisis start? In the home mortgage market, of course. The New York Times warned of the coming crash when lending standards were relaxed a decade ago during the Clinton administration. The Independent did extensive investigation which American media were reluctant to report and described the parliamentary tricks and other means by which Rep. Frank and Sen. Dodd beat back the many Republican efforts to cut back on risky home loans. 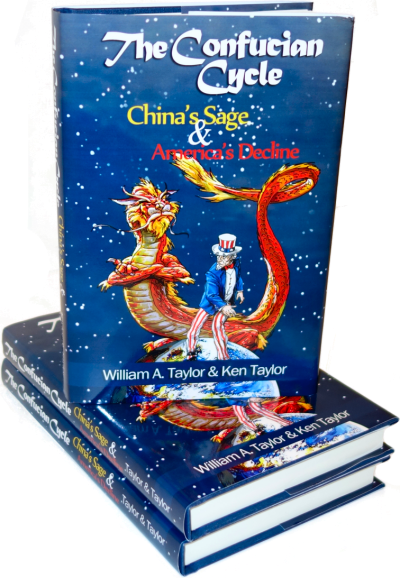 Now that we understand how how political meddling, campaign contributions, and regulatory incompetence set up the inevitable crash, our next article explains how the same devilish combination made things even worse when reality struck and the bubble burst.